Torn between the idea of moving or renovating? If you answered ‘yes’, then maybe it’s time to think of another option. As with many growing families, space can become a premium. Have you thought about a conversion?As an alternative to ‘upping sticks’ and moving out, why not stay put and invest in a space re-claiming home conversion. Here are a few ideas for your consideration. In 2015, a growing Manningtree family needed more space but didn’t want to move house. John O’Connell Building Solutions first worked with this local family back in 2012. We were one of three local building contractors called in to give a quotation for a lean-to kitchen extension. We’re happy to say that we got the contract, and as well as building the family a fantastic new kitchen, we have built a great relationship that has recently seen us create a stunning upstairs space in the same home. “We had this great downstairs space, but the house felt a bit bottom heavy,” they explain. 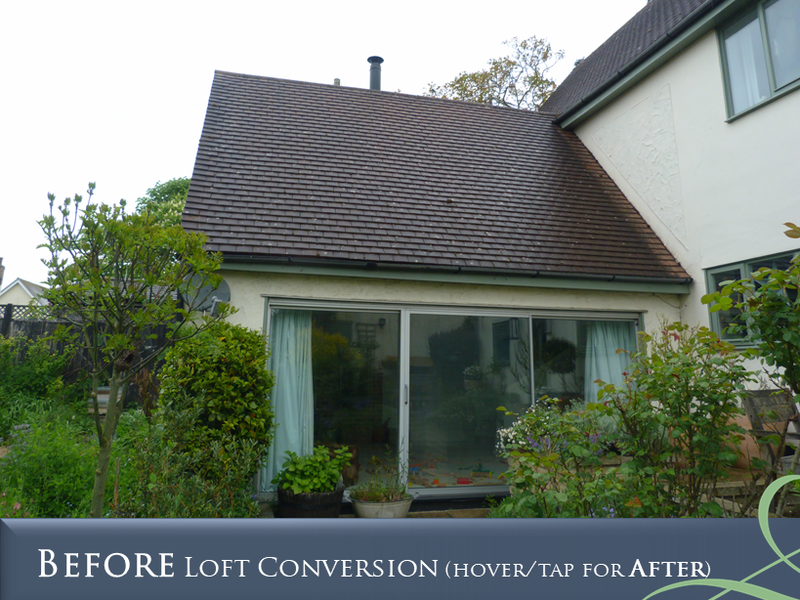 “We had a high-pitched roof that was perfect for a loft conversion. So we consulted with John early on and worked with his team and his architect on the design. Working with them, we decided on a master bedroom suite with a large bathroom; it’s created more room for the children downstairs, and we have our own fantastic space upstairs. Once again, John and his team were incredible, with really clever use of design to create space and flow, right down to placing dormer windows for maximum light and an ingenious staircase that wrapped around the original stairs and works incredibly well. It is so amazing and every time we go up there we still go ‘wow!’”. The Dursleys, of No. 4 Privet Drive, made great use of their ‘cupboard under the stairs’ space, transforming it into a bedroom for their wizarding nephew! Despite the space typically being smaller than most rooms, there are lots of different things you can do with it. Utilise the cupboard a little more by installing shelving or slide out drawers increasing your storage space. Create a unique and comfy seating area, or an efficient working station. Depending on the size of your ‘cupboard’, and plumbing practicalities, it might be big enough to fit toilet and sink basin. Voilà! A downstairs bathroom. Here are 27 Genius Ways To Use The Space Under Your Stairs! In some parts of the UK, especially in London, and even Cambridge, where property is expensive and stamp duty is high, many people are turning to basement conversions and extensions as a viable alternative. Converted basements can be transformed into living rooms, playrooms, kitchens or separate bedrooms. There are also an increasing number of basements being converted into unique spaces. Fitted out with gym equipment, a basement can become the perfect workout space. Some have even been able to turn their unused basement into their own indoor swimming pool! For those who love to host and entertain, basement rooms make excellent wine cellars. And for those that work from home, a new office space? Do I Need Planning Permission to Convert my Basement? Converting an existing cellar beneath a dwelling from a storage area to habitable space does not require planning permission. This will be covered by your home’s Permitted Development (unless you are in a Conservation Area or special designated area, or your home is Listed). Reducing the floor level of a cellar to improve the ceiling height is treated as an extension. Therefore, you may need planning permission. Under certain circumstances, however, modest extensions and alterations can be undertaken without the need to make a planning application: for more information visit www.planningportal.gov.uk. Do you ever look at your garden and think you could be doing more with it? Increasing ‘indoor’ square footage, and mirroring the functionality of indoor areas, garden rooms are undoubtedly the latest must-have living extension. View the complete transformation of an unused section of garden into a spacious modern Garden Room. Photos taken throughout the process to show the stages of construction from start to finish. All of our groundwork teams are fully qualified, and we have our own plant machinery for a range of services. As well as installing decking and laying patios, we are fencing and design experts, and construct complex wooden structures, such as garden rooms, summerhouses and pergolas, from scratch. Above all, our team will work with you through planning and design, to create ‘something from nothing’. Giving your new-found space the wow factor you desire, whilst working to your budget and time frame. If you would like to discuss your building or refurbishment project or get some professional advice, please call us on 01206 396667 or send us an email on enquiries@jdoconnell.co.uk for a free, no-obligation discussion. Posted on 3rd July 2018 at 1:51 pm.